The Year 8 students have been exploring the different types of diseases that people suffered from during the Middle Ages. They were then asked to develop information leaflets to inform people about the disease, how it was spread and how it could be cured. The leaflet had to be written as if it had been created during the Middle Ages without our scientific knowledge about different diseases. The students in Year 8 have been looking at the impact that invasion has had on society. Part of securing a country or realm was to build a series of forts or castles as forms of defense. After William the Conqueror took the Crown of England he rewarded his loyal followers by giving them castles. 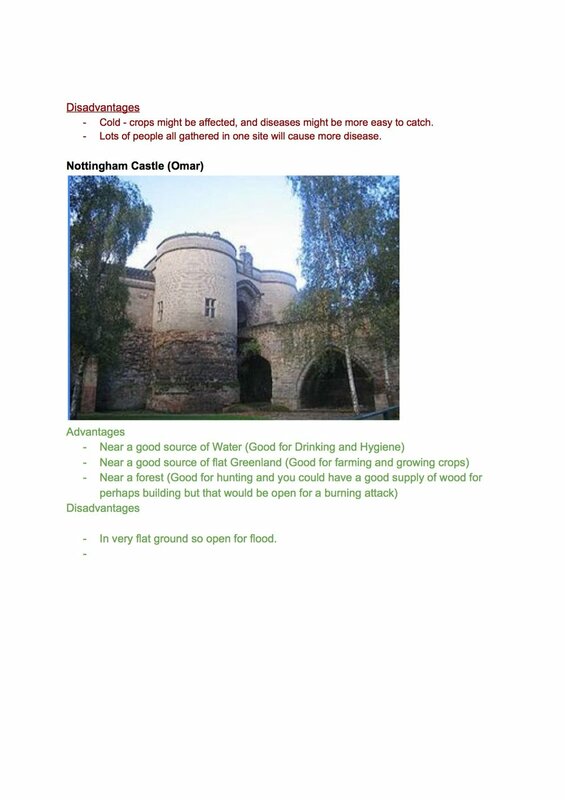 In teams the students were given three areas to investigate; Nottingham, Warwick, Bamburgh, to decide where they would like to build their castle. 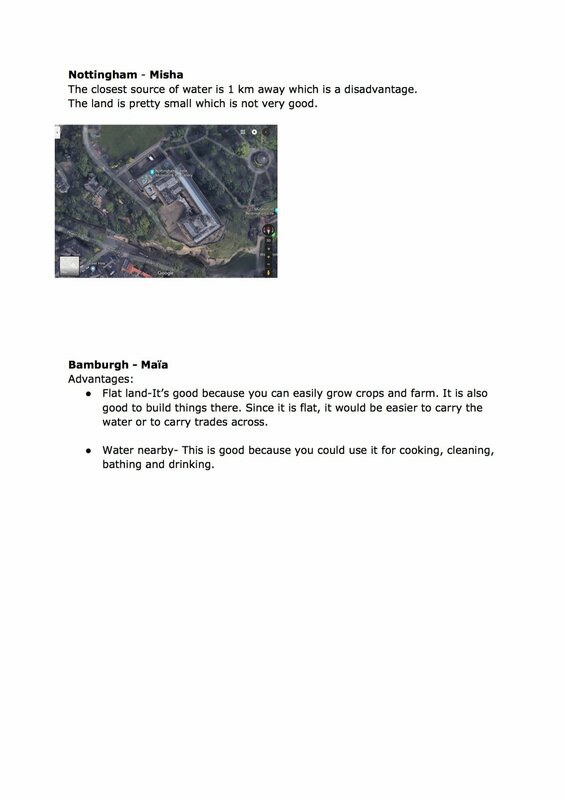 The students then wrote a report to William which gave clear reasoning behind their choice of location. 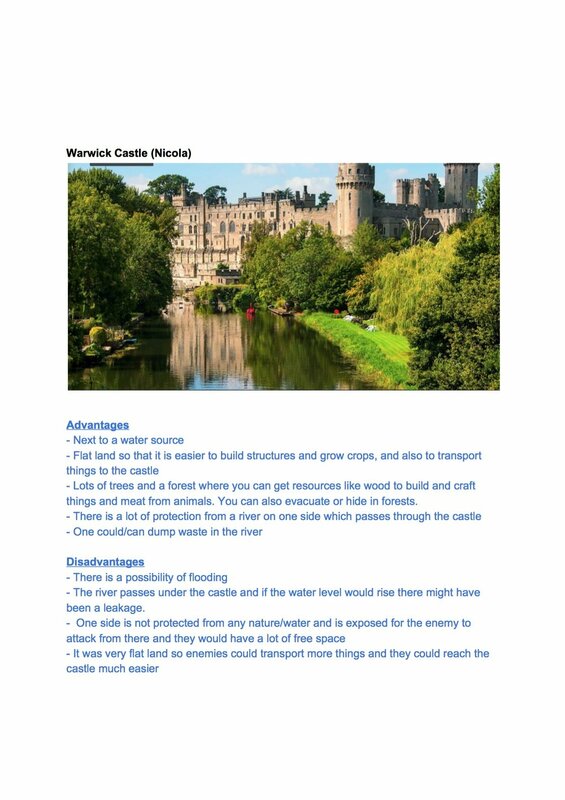 The Year 8s have been investigating what makes the best location and style for a castle. 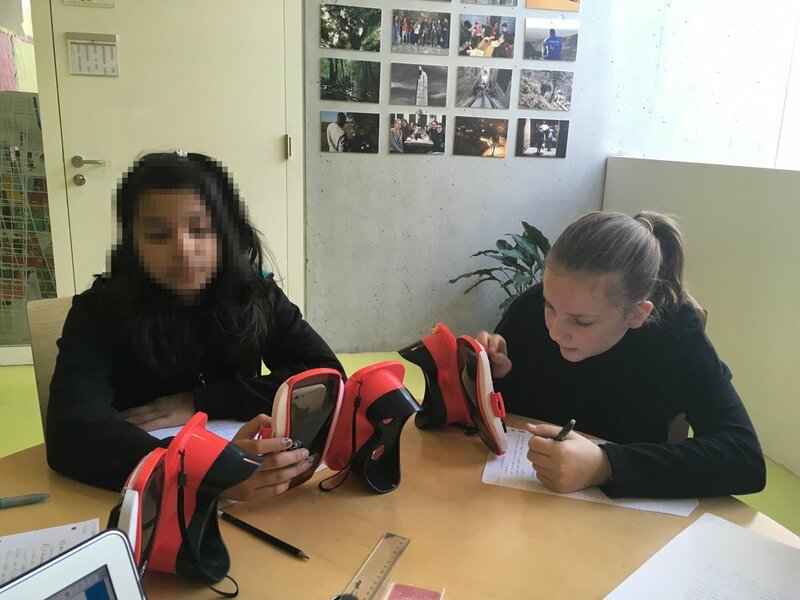 As we are not visiting Chateau Chillon until May the students explored Conisborough Castle which is situated in Yorkshire through a series of 360 degree virtual reality images. For each image the situations were required to view the key features and then answer a series of questions. 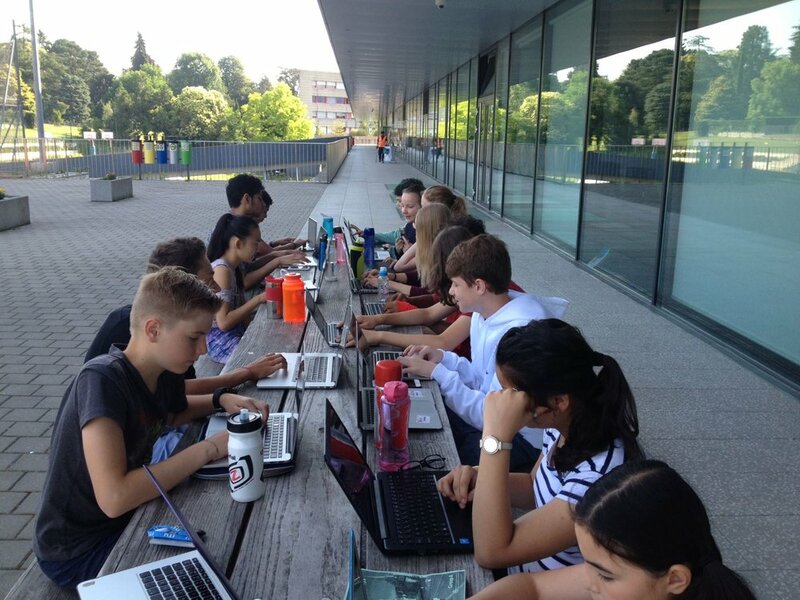 Below are a number of photographs showing the students at work. 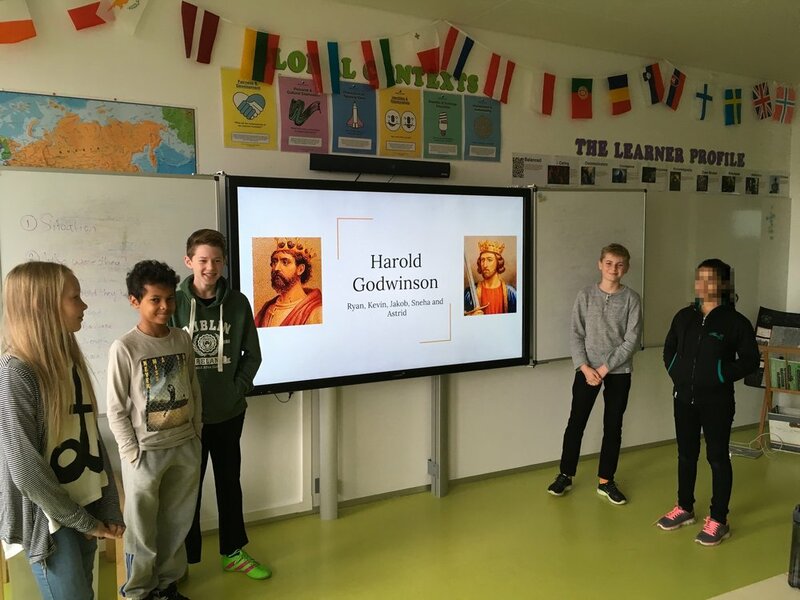 Year 8 - Who Should be King? 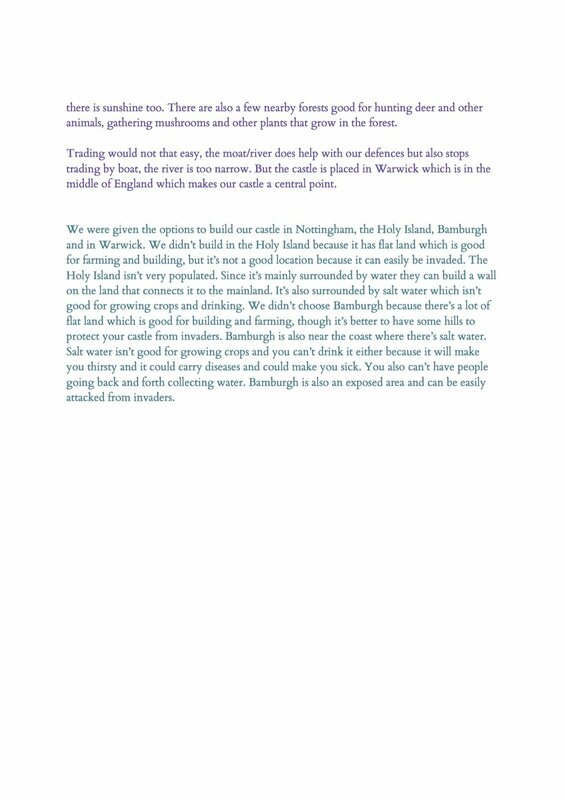 The students in Year 8 have been looking at the impact of invasion in the Middle Ages. 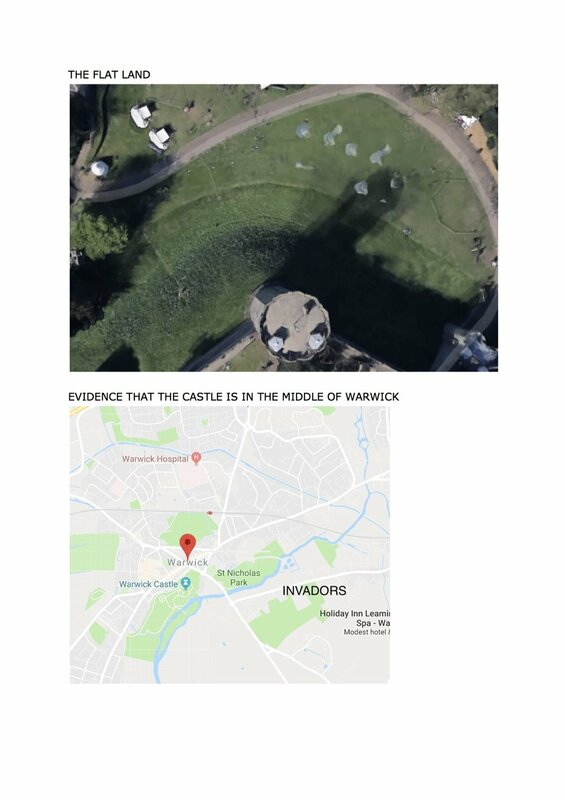 To do this they have explored why England was unstable in the year 1066 and why there was not an obvious heir after the death of Edward the Confessor. 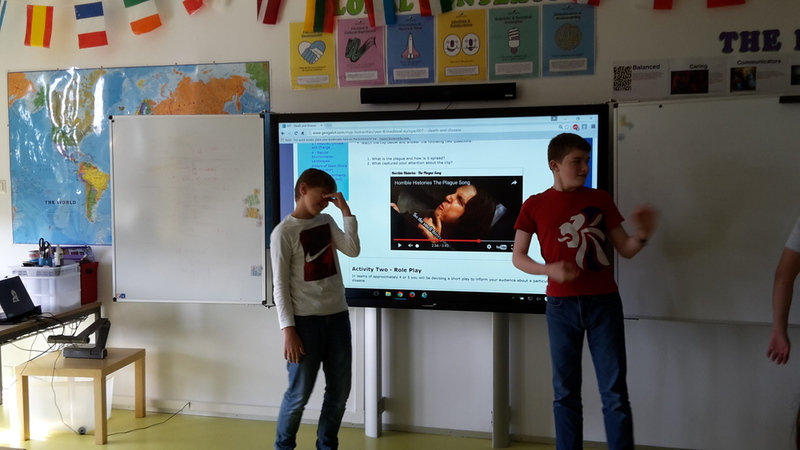 The students studied the three key protagonists in this story and were asked to formulate an opinion of who they thought deserved the throne basing their decisions on evidence. The students then wrote an essay under timed conditions to explain their decision. 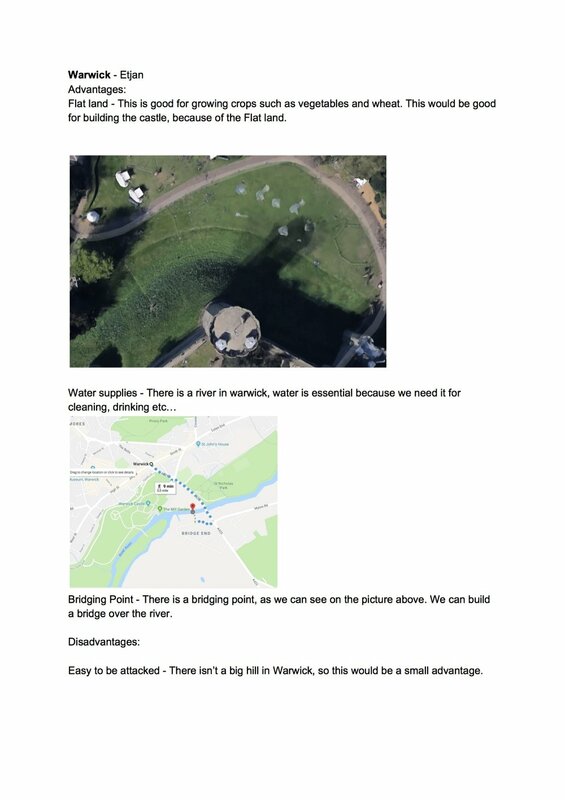 As the Year 8s have now returned from their Medieval Journey trip they are working recording their experience and showing where aspects of the trip link to what they have learnt this year. To do this they using an online mapping tool called ArcGIS. 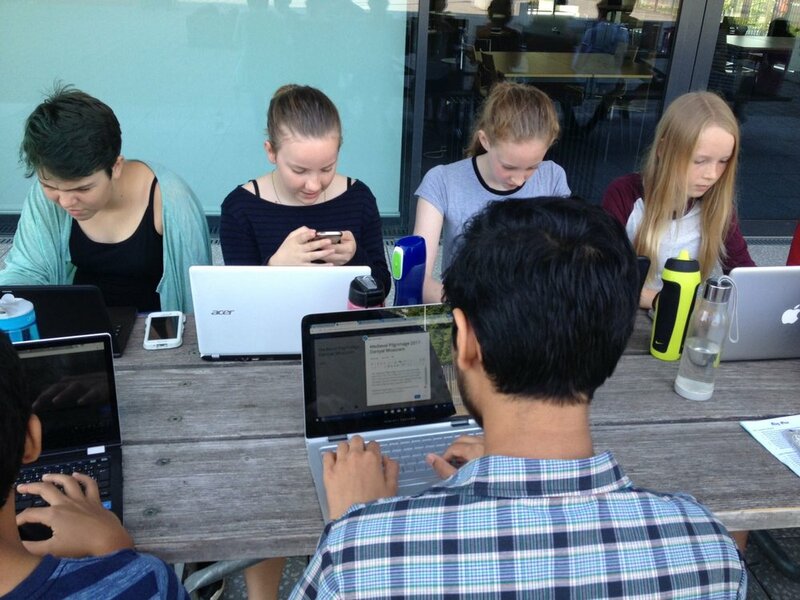 The students are adding photographs that they took with their phones to the journal to illustrate what they saw. As it is currently very hot 8i took the opportunity to work on their story map journals outside in shade. 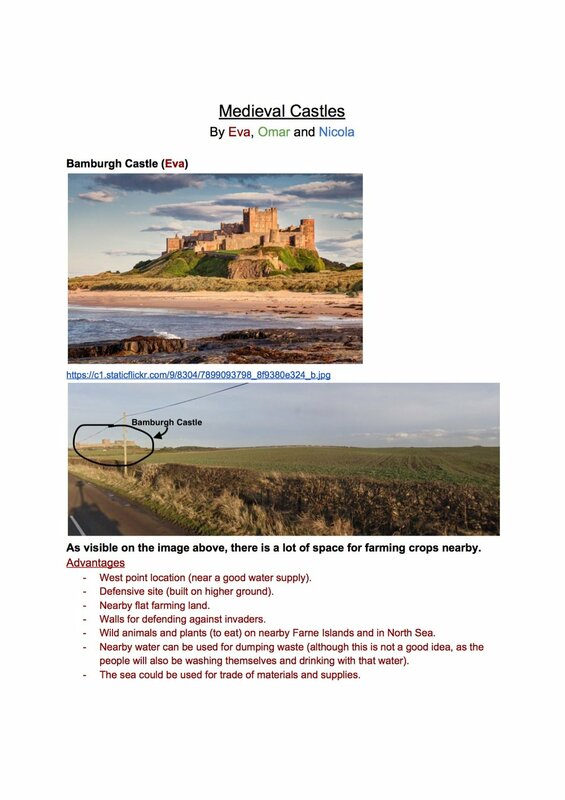 To bring what castles are like to life the students used Virtual Reality headsets to explore Conisbrough Castle which is located in Yorkshire. In fact the group enjoyed it so much they didn't want to leave the lesson! Year 8 have been investigating what happened in England in 1066 and why it was a volatile year in English history. They have also explored the impact that invasions have had on the safety and structure of society. 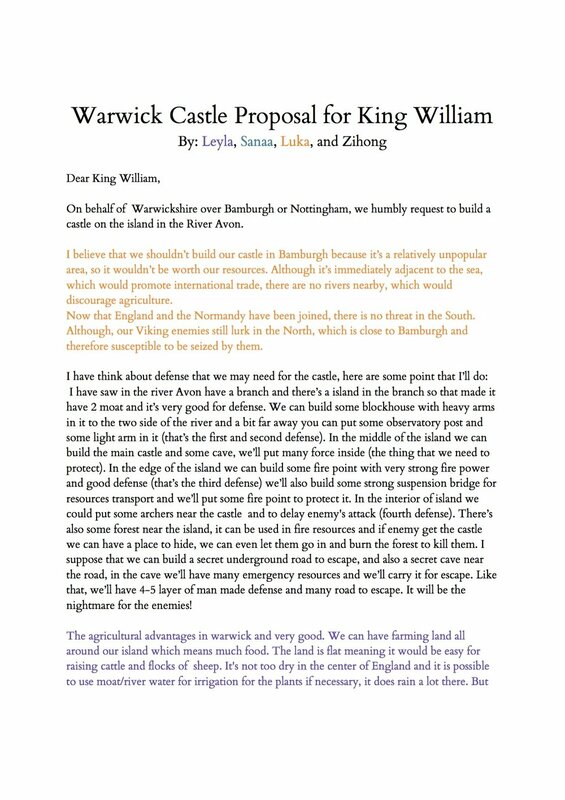 To bring these ideas together the students wrote a 500 word extended piece of writing explaining who they thought should have been King of England in 1066. They were expected to include not just a short reason but well thought out and explained justifications. Below are a number of examples of their work. Year 8 have been exploring the impact of invasion within England in the year 1066. They have investigated why 1066 was an uncertain and who had the strongest claim to the throne. 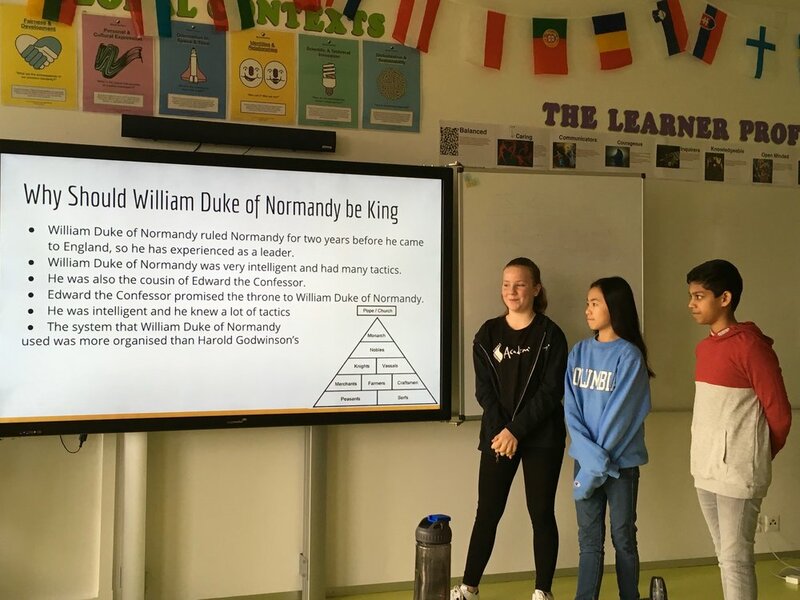 The students were then split into three groups to develop a convincing argument on who truly deserved the crown of England. 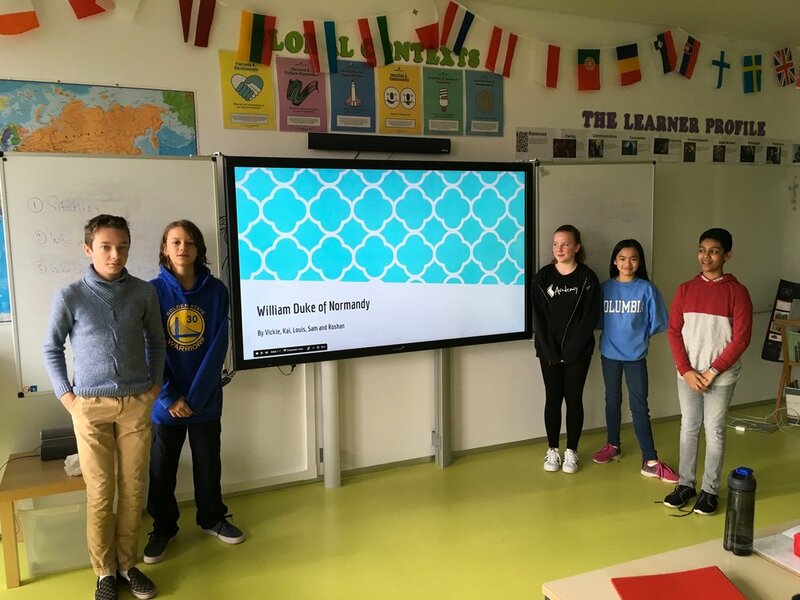 Below are pictures of the group presenting and their google slide presentations.